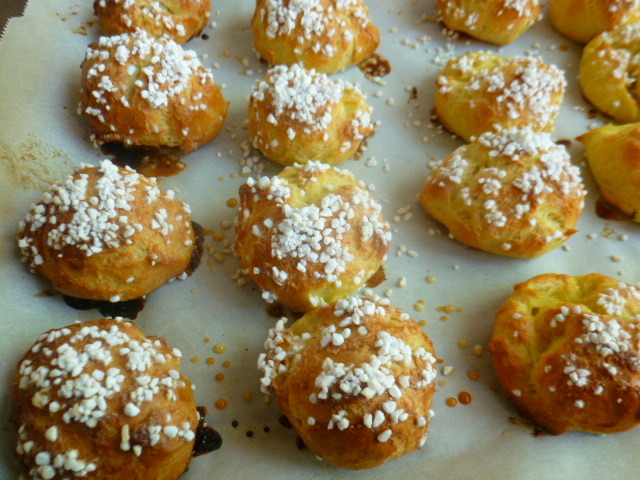 Chouquettes are the humble, no fuss, relatives of the more stylish Profiteroles, (or as they are known in the US, Cream Puffs); as they are made from the very same dough – Pâte à Choux. 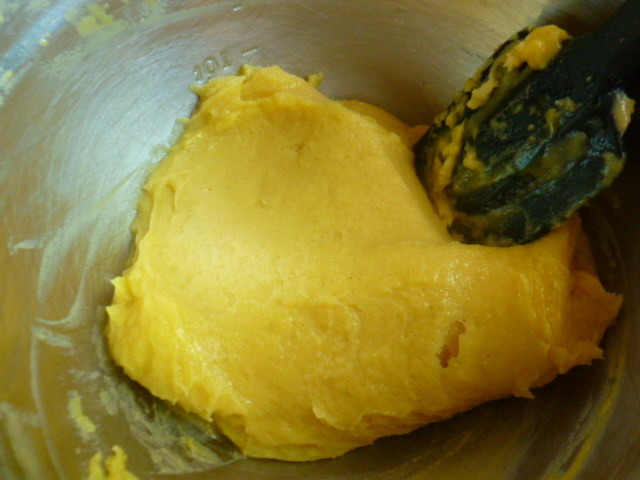 Éclair pastries are also made from this dough. 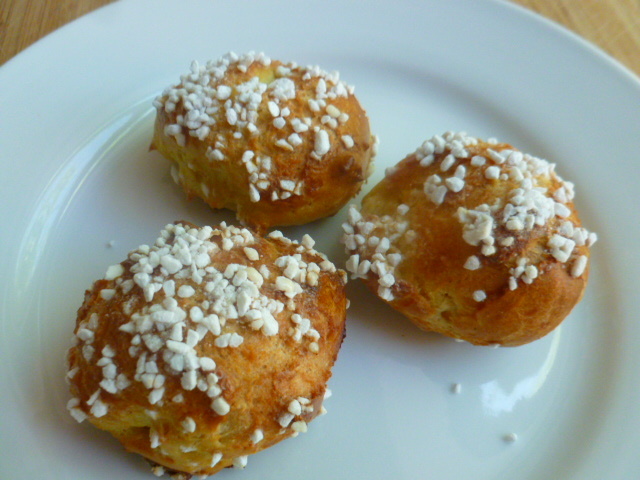 Unlike both, Chouquettes are not filled with any cream and are meant to be eaten as a simple snack, soon after baking, or at least on the same day. Preparing the dough is quite easy, once you get the hang of it. The only issue is that the eggs can curdle if they are added to the dough when it is still too hot, so it’s important to not skip the step of letting the dough cool a bit. On the other hand, you don’t want to wait too long and let the dough cool completely, as otherwise the eggs will not incorporate well into it. So, a bit of extra attention is required. 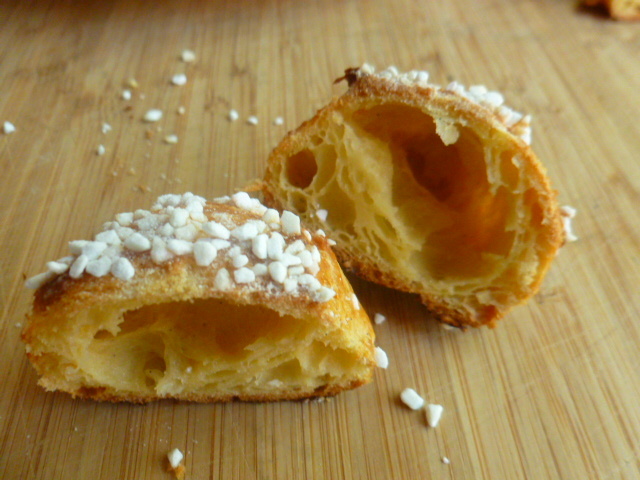 These nibble-size pastries are made by simply dropping small portions of the dough onto the pan, using two tablespoon. 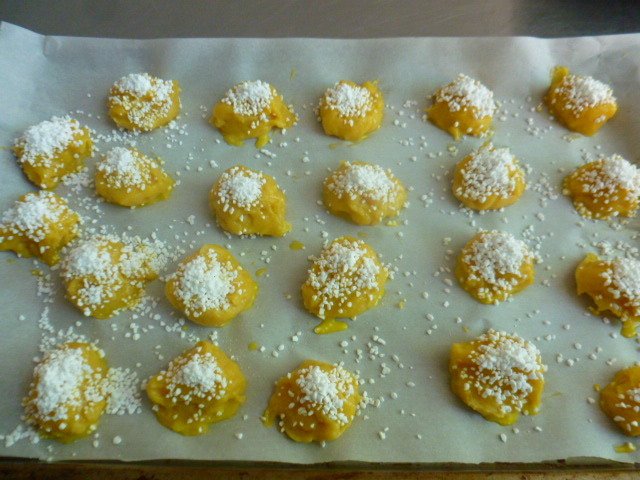 They are then brushed with egg wash, topped with pearl sugar and baked until lightly puffed and golden. Originally, the dough has no added flavorings, but in the version I have here, I decided to add vanilla paste to both dough and egg wash, and loved the results. Try it and enjoy. * The dough is very lightly sweetened, as the topping is quite sweet. 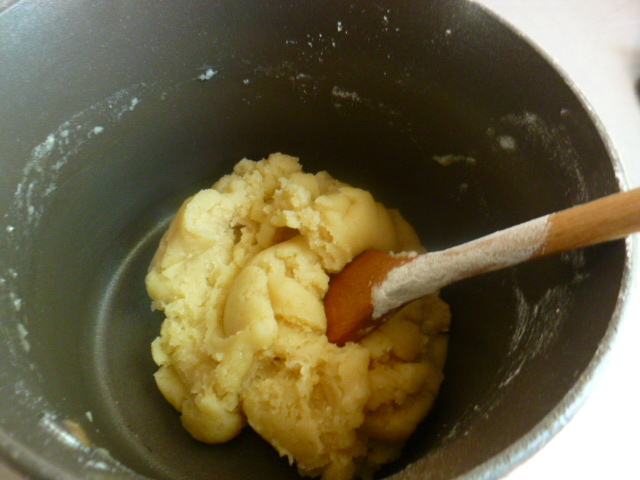 However, if you still prefer sweeter dough, you can increase the amount of sugar to 2 Tbs. * Pearl sugar is a special sugar that keeps its white color and shape while baking. It can be found in specialty stores or online. 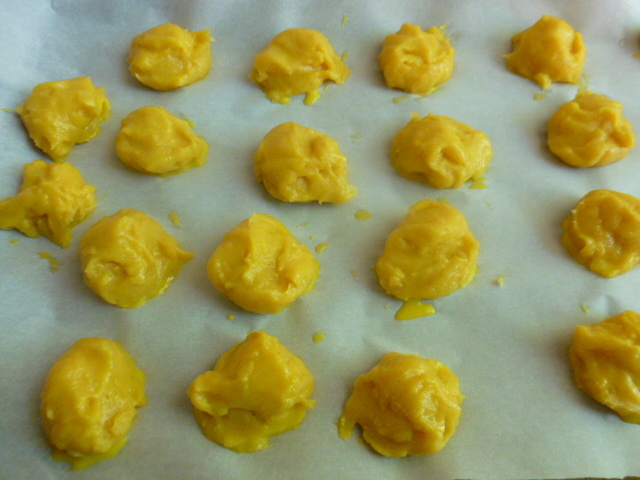 * The traditional method of baking Chouquettes is to start with hot oven and lower the temperature after 10 minutes. 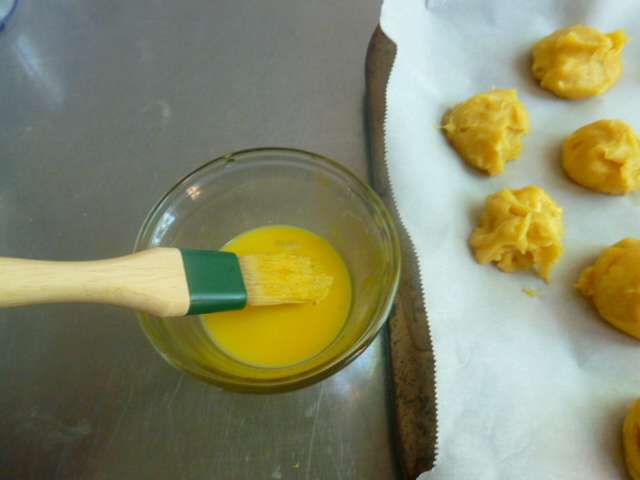 However, I found that baking them on high temperature for shorter time works just as well. You can experiment with both methods and decide what works better for you. 1. Preheat the oven to 400F (205 C ). Line a cookie sheet pan with baking paper. 2. 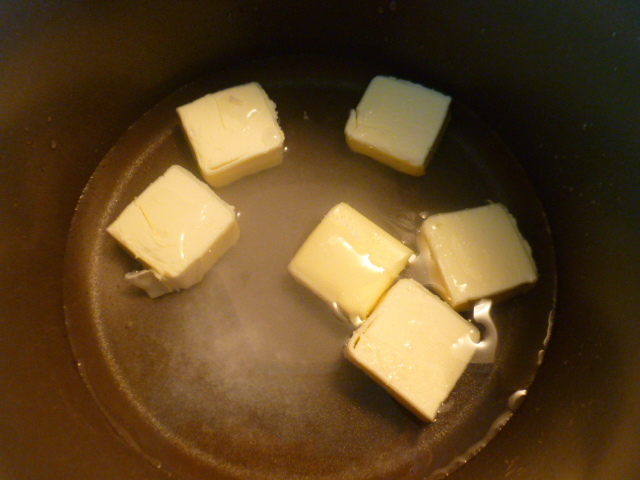 Mix water, butter, sugar, and salt in a small pot and heat over medium-high heat until the butter melts and the water is on the verge of boiling. 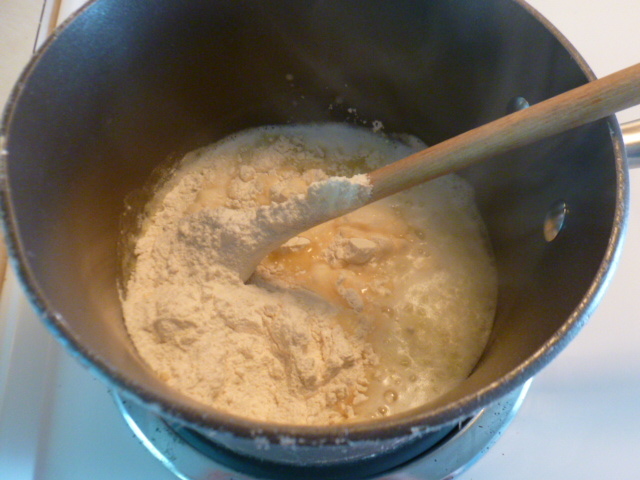 Add the flour, all at once, and mix well with a wooden spoon. 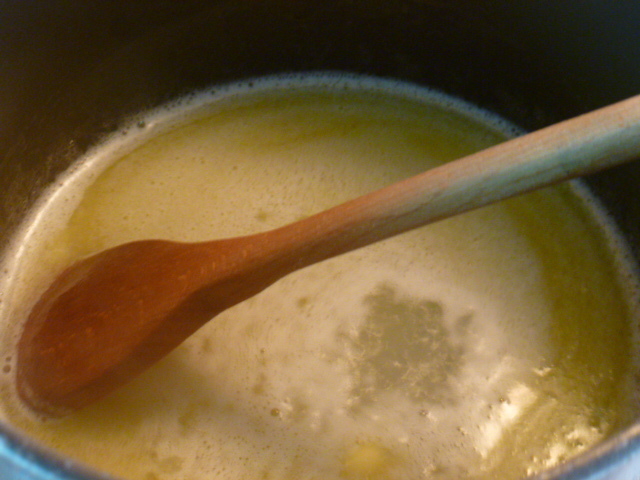 Lower the heat to medium-low and cook briefly, mixing constantly, until the dough separates from the sides of the pot. 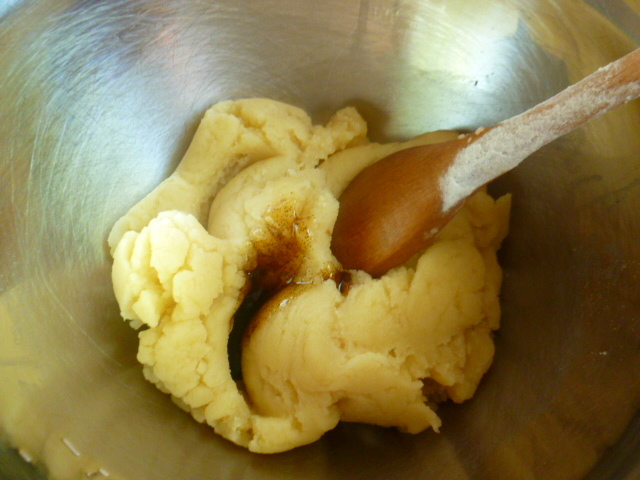 Transfer the dough into a bowl and let cool for a 1-2 minutes (see introduction). 3. Add the vanilla and mix. 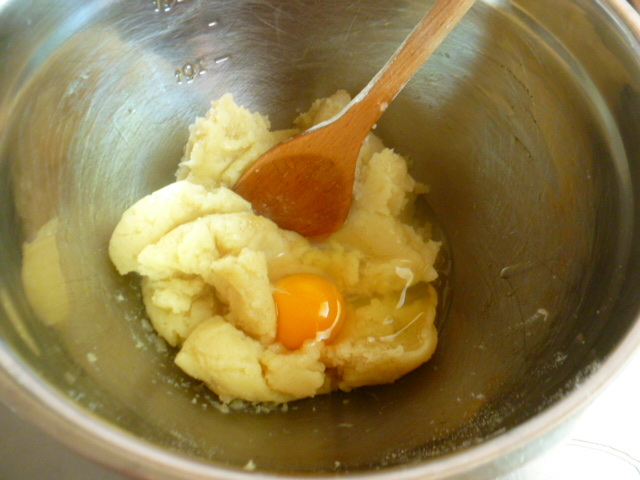 Add the eggs, one by one, while mixing constantly to incorporate them into the dough, until a thick, yet fairly soft, dough is formed. 4. 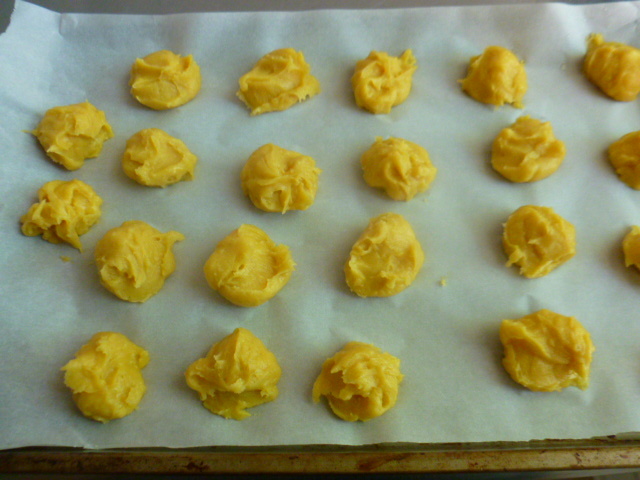 Using two tablespoons, drop small amounts of dough over the baking paper, leaving space for the Chouquettes to expand. Brush with the egg wash and generously top with pearl sugar. 5. Bake for about 25 minutes (see notes), until the Chouquettes are puffed and golden brown. Transfer to a rack, to cool a bit. Serve warm , or at room temperature, preferably the same day of baking. Woooow 😋😋😋 Nemo&Nancy by NemoInCucina!!! Humble and no fuss is good for me… I’ve always been too intimidated by profiteroles, but you’ve made these quite tempting. 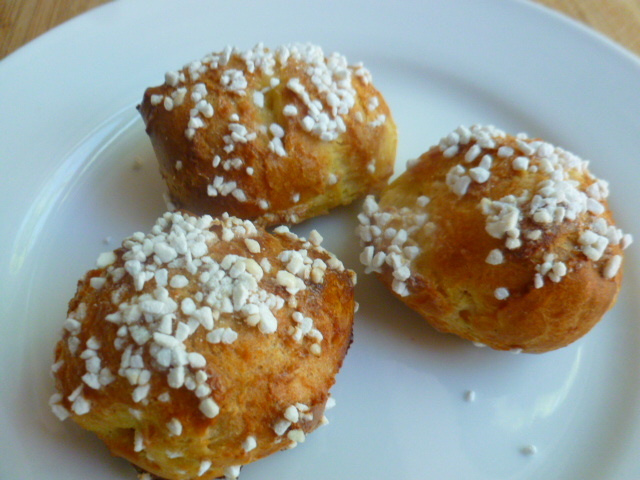 Chouquettes are popular fika (coffee break) treats here. I love them warm out of the oven. You provide an excellent tutorial for preparing your Chouquettes. I think even a non-pastry cook like me might manage these with your instructions. So beautiful and delicate. 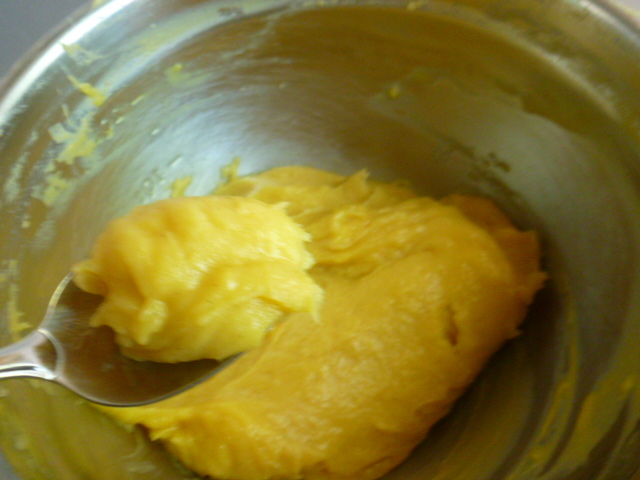 I actually have no fear of choux pastry, believe it or not. Of course, no one should. But otherwise I’m not a baker. I used to help my mother make eclairs, but I’ve never done it myself. Usually it’s gougeres. Oh, those are good. When in France, I will certainly eat croissants, but if I were to hit up a patisserie, it would be an eclair. Did someone say profiteroles? Wow! Will shout it on the rooftop! Love them, never made them though, but I’m tempted to now that you’ve broadcast it :) The ones in England are just lovely! Thank you Ana, I’m glad you liked the pastries. They are indeed light and airy. Wonderful treats! Love these beautifully puffed choquettes.